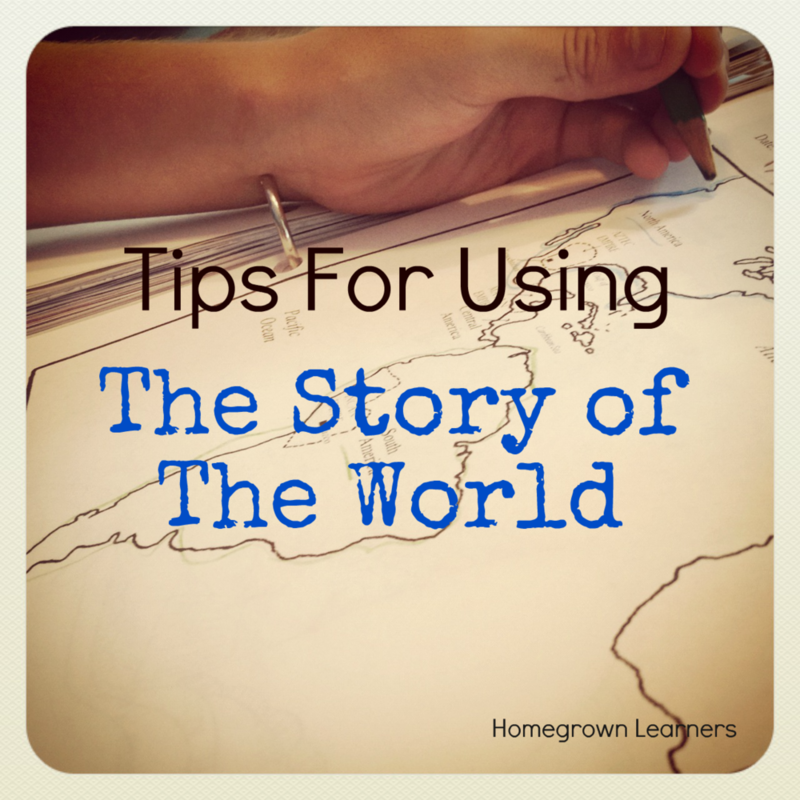 Our history curriculum of choice is The Story of The World. The engaging stories, narration questions, map work, and supplemental activities have always been a great fit for my two children. Even though they are three years apart in age, we have worked through the volumes together, adjusting activities up or down as needed. In a vlog last spring I detailed exactly how we notebook our way through The Story of The World. Since we use this as our sole history curriculum (I know many that just use it for the "stories" - a supplement to another history program) I wanted to use every feature of the program to its fullest. Here is how we go through a typical chapter in The Story of The World. After I walk you through our lesson I will tell you why I am so excited about an additional living book resource I've recently come to know! Gather notebooks, supplies, and and SPREAD OUT for reading and notetaking. My children each have a SOTW notebook that consists of the activity sheets and any supplementary sheets I've printed. I also have a notebook that is the teacher's ediition of the activity guide. While I read the chapter to my children, my younger child colors and "takes notes" and my 11 year old is required (this is new this year!) to take notes on the iPad while she listens. (Thank you Jess for this suggestion!) Last year I showed how my youngest took notes on Caesar -- it might give you an idea of how to keep your younger ones interested. After the lesson I ask the children the scripted narration questions from the activity guide. My youngest just answers them verbally, but my oldest (if she hasn't detailed the answer already in her notes) types the answer to the question. These notes are then printed and put into her Story of the World notebook. Outline the continent of North America in GREEN. Underline the words North America in GREEN. Outline the continent of South America in BLUE. Underline the words South America in BLUE. Outline the strip of land between North and South America in ORANGE. This strip of land is called Central America. Underline the words Central America in ORANGE. These mapping directions promote listening, following directions, geography, and so much more. My friend Jess told me the other day that she has her children draw a compass rose on each of the mapping sheets, too. Great idea! I look ahead before we read a chapter to see if there are activities that would interest my children. After the map work we usually do an activity (it might be the next day). 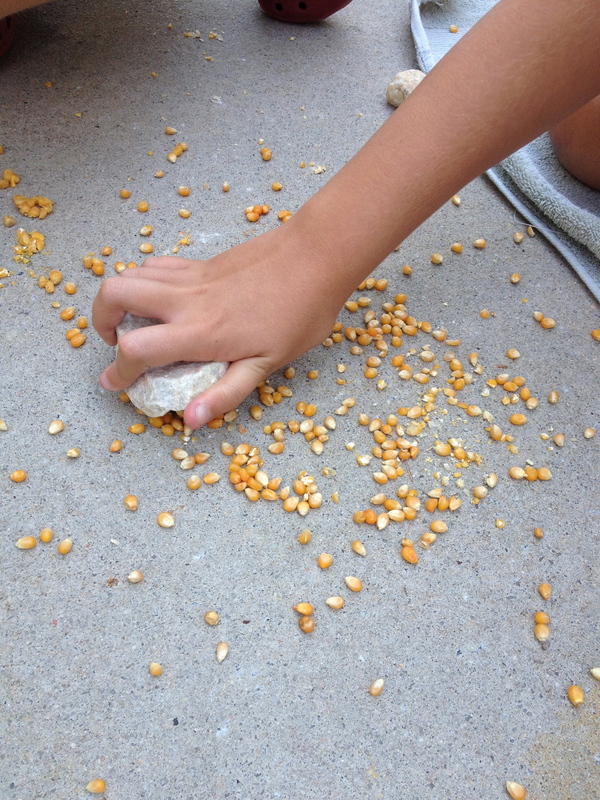 This past week the kids went outside and smashed popcorn kernels to get an idea of how the Aztecs made maize. Simple, right? Very... and it was meaningful and fun! At this point we also ALWAYS check to see if there is a Netflix documentary or Horrible Histories to go along with what we're studying. If you don't know about Horrible Histories, you probably should! We watched a hilarious video about the Aztecs - I can tell you my children won't forget the importance of the cactus in their culture! This is where I start to get excited! The activity guide gives many good suggestions for living books to go along with each chapter. These books are usually our read-aloud selections. It just MAKES SENSE. In this way, a SOTW chapter can sometimes take us a few weeks, and that is OK. 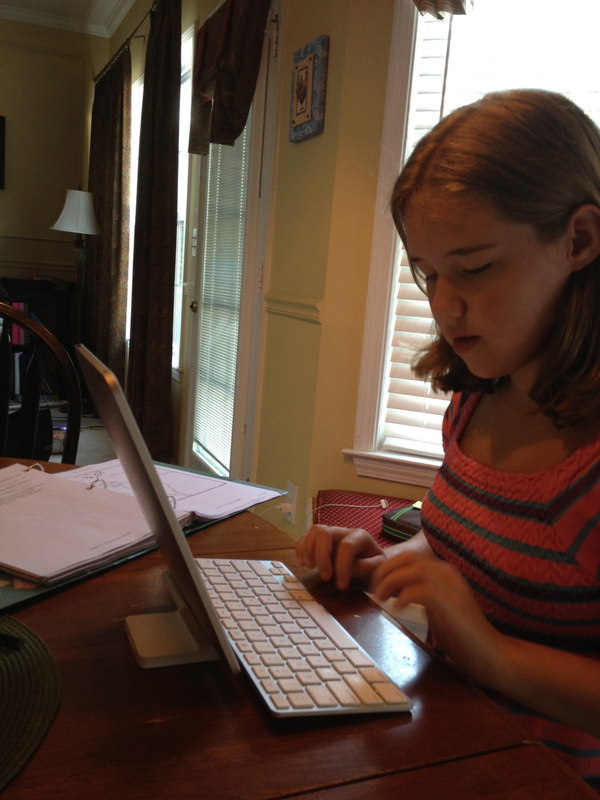 The beauty of homeschool is that we can make our own schedules! We thoroughly enjoy history. I am finding that the structure AND flexibility of The Story of the World is what appeals to us. The routine for learning is the same each time we pull out the history notebooks, but I can be flexible in how much or how little we supplement. What is your chosen path for history this year?